Quick peek in my Potting shed. These flowers have been such a joy. The scent is perhaps too strong for the house, but perfect for the potting shed. Drowns out the aroma of compost and tractor fuel. I shall be planting Paperwhites again in October for Christmas presents, and January/ February for spring cheer. 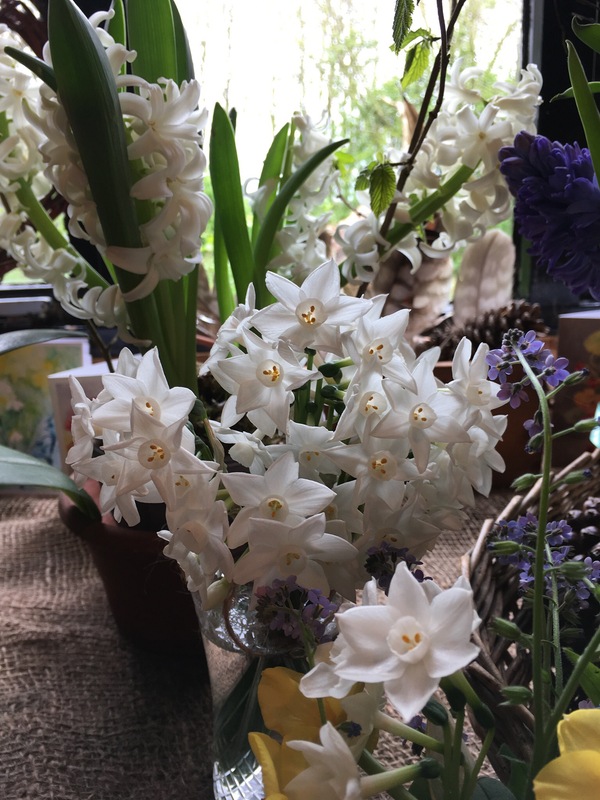 Paperwhites are so lovely to look at but the scent is too strong for me – even when I planted some out in the garden! I’ll content myself with looking at yours without smell.